The new tablet Samsung Galaxy Tab A 8.0 (2017) has been showing its existence since a few months ago. Previously this new tablet appeared on benchmarking service sites and certification body sites. 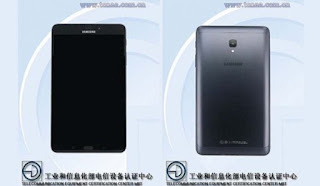 Finally now the form and specification of the new device is revealed thanks to the certification body of China, TENAA who leaked it. Although previously the list of specifications for this device can not be accessed, finally TENAA update the list of specifications and we can find some specifications that will be carried by the new tablet. 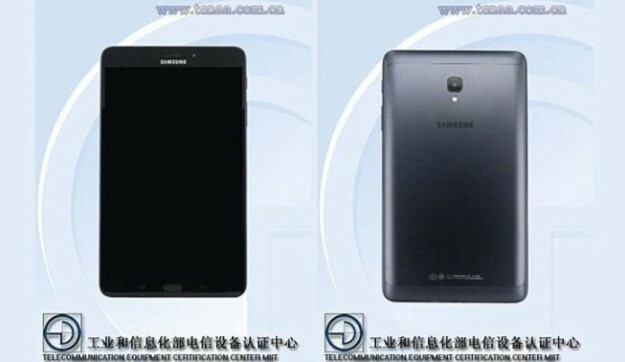 Galaxy Tab A 8.0 (2017) will come with dimensions of 212.1 × 124.1 × 8.9mm and weighs 364 grams. For displays, this new tablet will bring an 8-inch wide screen with a resolution of 1280 × 800 pixels and will be powered by a 1.4GHz quad-core processor. This tablet has a capacity of 3GB of RAM with 32GB of internal storage options and 64GB. For the operating system running is Android 7.1.1 Nougat and has a battery capacity of 5.000mAh. Device with model number SM-T385C has main camera 8MP resolution and front camera 5MP resolution. There is likely to be a lower variant, with 2GB of RAM and 16GB of internal storage. Unfortunately not yet known when this new tablet will be launched and what price will be priced.